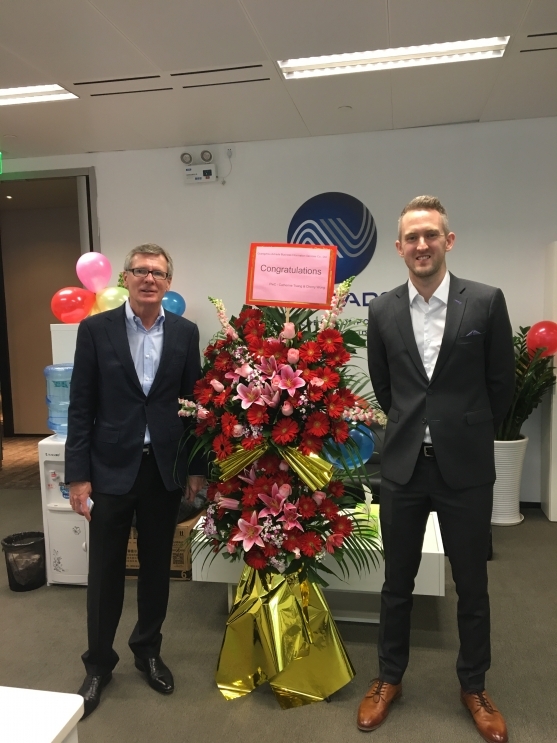 On Friday of the 24th of February 2017, Avtrade celebrated the opening of a new office based in Guangzhou, China. To commemorate this milestone in Avtrade’s history of business in China, which dates back to 1997, Avtrade hosted customers, suppliers and friends in a ‘British Themed’ evening. With guests joining from around the North Asia region and with Senior members of Avtrade staff, including CEO and founder Graeme Brooks, in attendance the evening was a fitting tribute to Avtrade’s continued dedication to customers in the region. Avtrade were gratefully invited to host the reception at the British Consulate based in Guangzhou, the venue provided guests exceptional views of the city, with the Pearl River, Canton Tower and Avtrade’s new office outstanding landmarks on display. Endorsed by the British Consulate in Guangzhou, the invitation to host in the Consulate showed the commitment by both Avtrade and the British Consulate to continuing the sustainable growth of British businesses in the region. With Consulate General Mr Matthew Rous also in attendance, the Consulate General spoke about the benefits of setting up business in Guangzhou and highlighted the importance of continuing the development of the relationship between Avtrade and the Consulate. Avtrade would like to thank all who joined us to celebrate and particularly Consulate General Mr Matthew Rous and his staff for hosting such a memorable night.